The links below will open the documents. 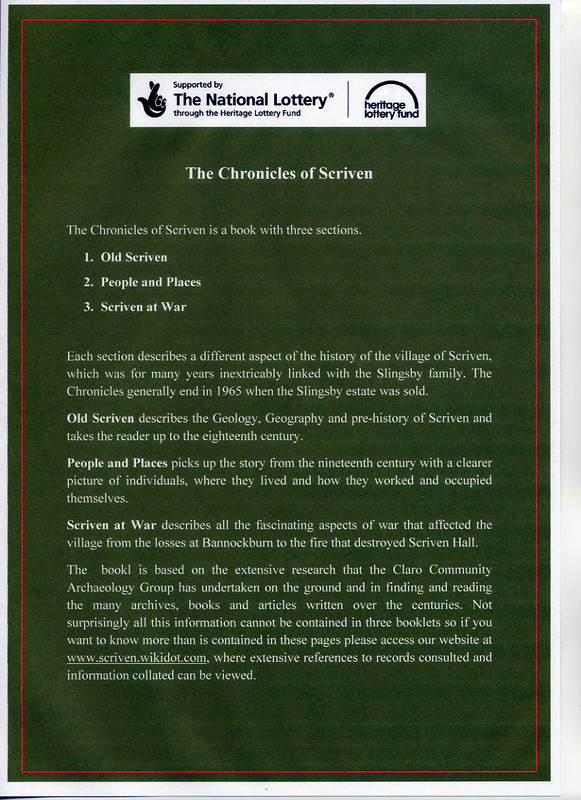 In addition to this website we have published a book, The Chronicles of Scriven. A summary of the book contents is shown below. For price and availability see the Home Page or contact Claro Community Archaeology Group via email, see Contacts webpage.